Jinan Xuan-Yu Aluminum Co., Ltd. is the largest new aluminium enterprises with integration of production, processing, trade and economic in the Southwest,which has two production bases and an economic and trade companies. Business owns electrolysis, casting, hot-rolled, cold-rolled, aluminum foil, embossing machine, finishing as production lines, users at home and abroad undertake various specifications products processing. Trading company located in the heart of the provincial capital Jinan commercial centre, Industrial Road 319. Aluminum production volumes. Aluminium. Extra large, extra-thick aluminum plate. 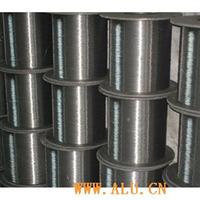 Aluminium alloy. Plant. Pipeline anti-corrosion chemical plant insulation aluminum alloy Vol. Mould for tensile aluminium alloy. Peritoneal aluminium alloy. Electrical casual thermometers special aluminium alloy. Dedicated wall aluminium alloy. 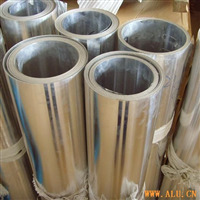 rustproof aluminum alloy Vol. spraying, dedicated aluminium oxide vol. 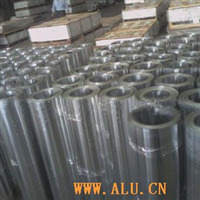 aluminum alloy Vol. Signs for aluminium, Checkered Plates, embossed aluminium. Aluminium. Aluminium alloy. Corrugated aluminium-pressure sales. Specializing in the production of aluminum and aluminum alloy plate. Vol. Belt, foil, the tube. Lines, and other products, certified by 2000 version of the ISO9001 quality system. Aluminum foil. Aluminium. Aluminum Vol. 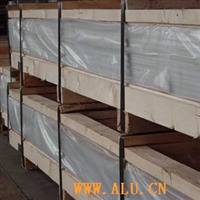 Aluminum alloy Vol. Anticorrosion insulation products such as aluminum volume of the national, provincial and ministerial level quality products title. Products are widely used in aerospace, mold, instruments, chemicals, construction, packaging, preservation and maintenance, air-conditioning, solar, refrigerators, and other industry sales. Perennial inventory :0.2-80 .0 * 500-1900 mm Aluminium Plate、Aluminium Foil Timber。0.150-0.145 foil*1300mm air conditioning；0.15-0.2 * 500 mm cable foil ,0.02-0.05 mm foil packaging, produce 1100,1235,1145,1050,1060,1070,3003,3 A21, 3004,3005,3105,5005,5052 , 5A02, 5083,5182,6063,8011 material aluminium volume, production thickness:0.2-50 mm, width 800-1900 mm, length can be produced according to the customer's requirements. :0.2-Thickness aluminum foil production of 0.006 mm, width :1400-50 mm, state: F, H14, H18, H22, H24, H32, O . And meet the needs of different users. Products are widely used in construction, packaging, air-conditioning, refrigerator, solar energy, cosmetics and other household appliances,and can also be used in power plants, petrochemical plants anticorrosive chemicals used, such as insulation. Best-selling product in Europe and America, Africa and the Middle East, Southeast Asia, Jiangsu, Zhejiang, Shanghai, Hangzhou, Wuhan, Shandong, and cities of the Northeast more than 180 large and medium-sized enterprises. Over the years, the national, provincial key projects such as the China Petrochemical Qilu, Zouxian Power Plant, Shandong Shiheng power plants, power plants such as Huang Tai, Chi-ping, industry, Longkou power plant, lotus electricity, Zaozhuang Thermal Power Station, Shengli Oilfield, Zibo Thermal Power Station, Linyi plant, Daqing Oilfield, Zhongyuan Oilfield in Xinjiang Xinhua chemical, State Power Dingzhou Power Plant, Huai'an Huaneng Power Plant, Shanghai Waigaoqiao Power Plant, in Lianyungang nuclear power plants and other users and my company established long-term business stability relations. Enterprises will always pursue the "unity, dedication, pragmatic, truth-seeking" spirit of enterprise implementation of the "advanced technologies, scientific production, quality first, ensure that products meet the standard and meet users's requirements," the principle of quality. welcome Chinese and foreign friends to the company for sightseeing, business negotiations, exchange of technology, and is willing to high-quality products, excellent service to the credibility and sincere foreign People of insight in extensive cooperation, and mutual win-win situation, and seek common development. Promises: the same products, cheaper price, the same price, better quality, the same quality, and better service. Timely delivery. Reasonable prices. Quality assurance. Win-win cooperation.